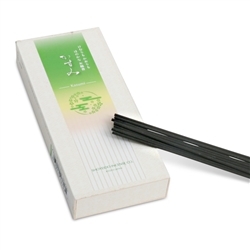 Fine sandalwood and select herbs give this special low-smoke incense blend a unique aura. One box of 150 incense sticks, 5.25" long. Burning time approximately 30 minutes per stick.